A Call for Speakers! Boston Event Honoring NTI and Americans with Disabilities! [Boston, MA] - A Call for Speakers! Boston Event Honoring NTI and Americans with Disabilities! A call for speakers is taking place for a disability event in Boston honoring NTI, the leaders in placing Americans with Disabilities back into the workplace. The 31 Nights of Lights Gala Event at the Prudential Building will occur on December 3rd, 2016 from 4:30 to 7:30 PM. The call for disability related topics and speakers will occur through 7 PM on October 30th. A call for speakers is occurring for the 31 Nights of Lights Event on December 3rd, 2016 from 4:30 to 7:30 to honor NTI in their achievement placing Americans with Disabilities in the workplace nationwide. The call for speakers will occur through 7 PM on October 30th. The topic of the event focuses on disability in the workplace. Selected speakers will have the opportunity to speak for 10-15 minutes regarding disability rights, assistive technologies, and advocacy on behalf of persons with disabilities. Advocates, researchers, and adaptive athletes are encouraged to apply. The event will host a variety of disability speakers, Paralympians, autograph sessions, adaptive demonstrations, artwork, and entertainment. Details surrounding the event are on the 31 Nights event website at 31Nights.NTICentral.org. National Telecommuting Institute, NTI, are leaders in placing Americans with Disabilities back into the workplace, Founded in 1995 as a 501(c)(3) nonprofit organization, NTI pursued a mission to identify and develop work-at-home jobs for home-based Americans with a disability. Since that time, NTI has successfully provided trained work-at-home employees to some of the largest U.S. government agencies, Fortune 500 companies and to smaller businesses to outsource and expand their customer service and technical support operations. Visit nticentral.org/learnmore for more information about how NTI assists Americans with Disabilities. Only days after his 50th birthday, former Jets defensive end and defensive tackle, Dennis Byrd died tragically in a head on collision near his Oklahoma home this past weekend. He was best known of the day his career came to an end when he collided with teammate Scott Mersereau while trying to sack the Chiefs quarterback Dave Krieg. His head first collision caused Byrd to suffer a fractured C-5 vertebra and sustained damage to his spinal cord paralyzing him. At the time, doctors didn't think Byrd would ever be able to walk again. Months later, after extensive physical therapy, Byrd was able to walk again, but never returned to football. His jersey was retired and no one has worn the number 90 since. On September 3rd, 1993 he walked to midfield at the Meadowlands to serve as an honorary captain and during the halftime ceremony was presented with a trophy for the Most Inspirational Player Award which is now known as the Dennis Byrd Award. His story was later coauthored in an autobiography entitled, "Rise and Walk: The Trial and Triumph of Dennis Byrd" and later made into a movie. He went across the country sharing his story and now, others will tell the story for him so his legacy lives on. You never know when tragedy could happen to you or a loved one. In the case of Byrd, he was emerging as one of the top defensive lineman in the NFL, seconds later he had a disability. This is very similar to the lives of so many people we help at NTI. A disability interrupts their lives, but if they want to get back on track and back to work again, NTI can help. If you know of someone on disability who would live to get back to work, contact us at www.nticentral.org/learnmore. 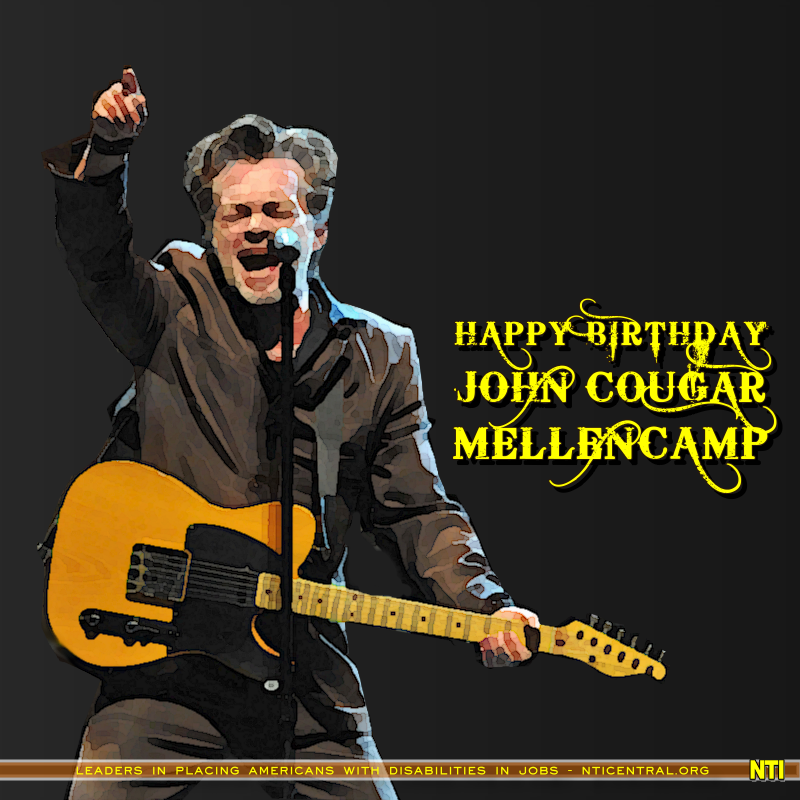 Happy 65th birthday to legendary musician John Cougar Mellencamp, who goes by John Mellencamp these days. 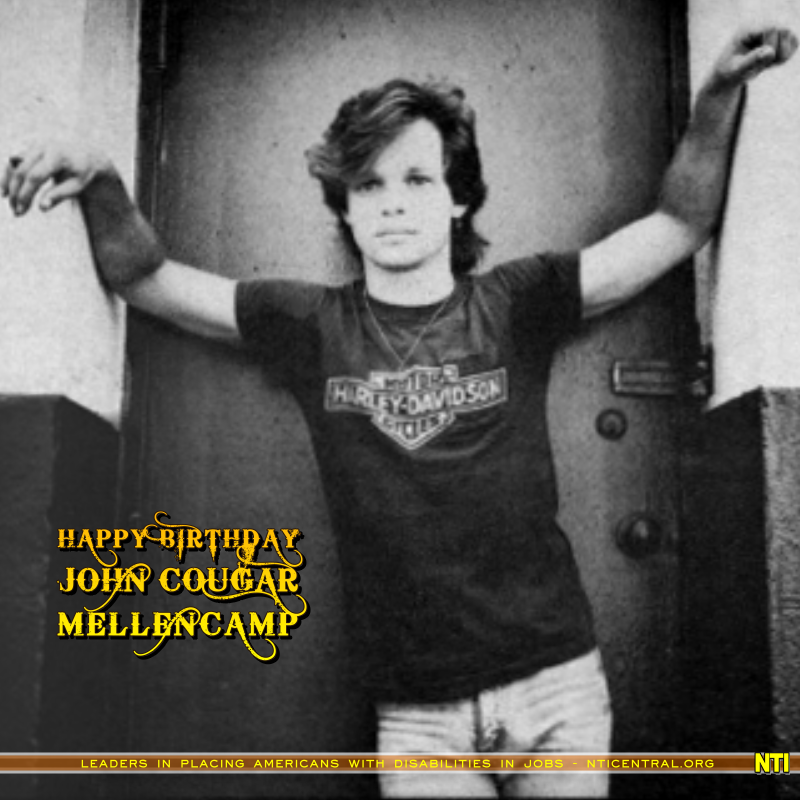 Did you know that Mellencamp was one of three babies who were born with spina bifida at the Riley Hospital for Children in Indianapolis? In an odd coincidence, October is also Spina Bifida Awareness Month. If you don’t know what spina bifida is, it quite literally means “split spine”. This birth defect occurs before birth and happens when the spinal column stays open instead of closing as it should, often leading to the spinal cord growing outside of the body. If surgery isn’t performed (either because the spina bifida hasn’t been detected or surgery won’t help), spina bifida can cause paralysis, which would require the use of a wheelchair. At the National Telecommuting Institute (NTI), we work to help Americans with disabilities, including those with spina bifida who use a wheelchair or don’t, to find a work-from-home job that will be suitable for them and where they can succeed and know that they’re contributing to society. In the case of Mellencamp, he and the two other babies all underwent a first-ever 18-hour neurosurgery for spina bifida at Riley Hospital. 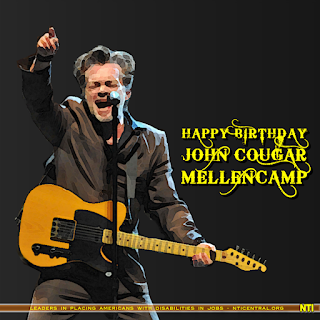 One of the babies died during the surgery; one lived til 14 and then passed on; and Mellencamp’s was a success. In fact, he didn’t even know he had had surgery as an infant until he was nine or ten years old and a child asked him about the large scar on the back of his neck. Mellencamp asked his parents about it and was told he had an operation when he was a baby. He learned more about spina bifida as he was older. A few years ago, Mellencamp got the chance to meet the neurosurgeon that performed his life-saving surgery: Dr. Robert Heimburger. Dr. Heimburger remembered Mellencamp’s surgery as it was the one of the first surgeries they’d done for spina bifida. 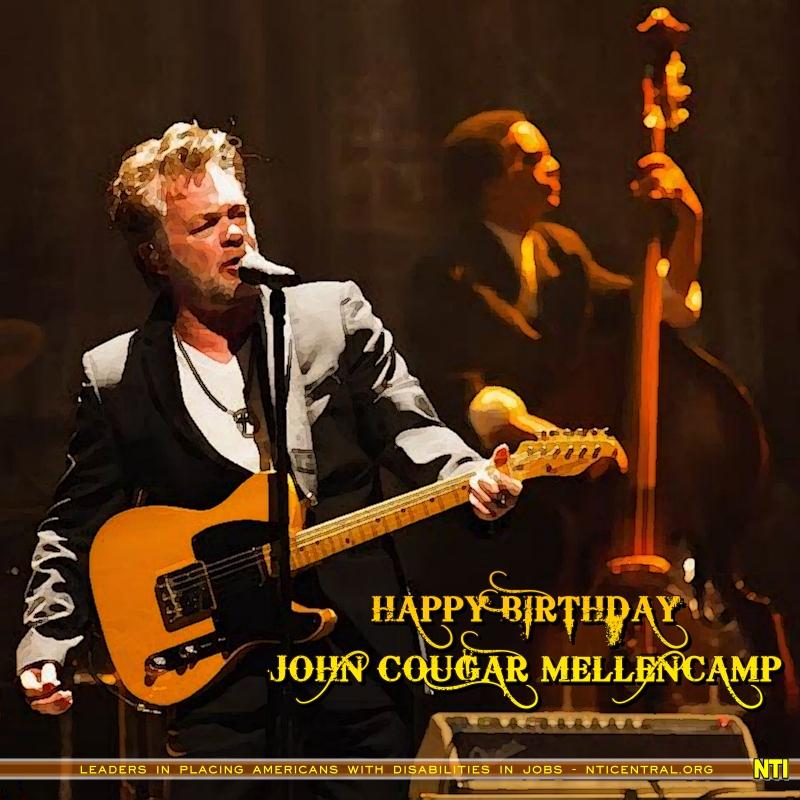 Mellencamp will be performing at the Hanover Theater in Worcester, MA on October 11th and we hope his concert is a hit! If you had asked me two years ago what Trigeminal Neuralgia was, I wouldn’t have had a clue. However, I now do know what it is as a dear friend suffers from this disorder, so I know about it from what she has told me. Today is International Trigeminal Neuralgia Awareness Day, so we are working to spread the information. This facial disorder affects the trigeminal nerve, which carries signals and sensations from your brain to your face. Typically, it is triggered when a blood vessel pushes on the nerve. In my friend’s case, it occurred after she was involved in a car accident. 12 out of 100,000 people are affected by Trigeminal Neuralgia in a year, making it quite uncommon. But for those who are affected by it, they know all too well about the blinding pain that strikes their cheek, mouth or any part of the face, which can last from a second to 15 minutes or longer. The moments of searing pain could be just once a day or multiple times a day and can be set off by something as light as an outside breeze or taking a bite of something. The pain can be so debilitating that it causes people to have to resign from their jobs, as they’re unable to commute to a job while knowing that the pain could set in at any moment, or if they have to wear headphones as part of their position. If you or someone you love has Trigeminal Neuralgia and wants to return to the workforce in an at-home position, the National Telecommuting Institute (NTI) may be able to help with placement in such a position. Treatments for Trigeminal Neuralgia typically start out with drugs to suppress pain and some physical/occupational therapy for nerve desensitization. Working with your doctor to find the right treatment is a must. Pain suppression drugs frequently do help quite a bit, but if they fail to work, surgery is also an option. Extreme competition is nothing new to Claudia Breidbach. Claudia hit new heights competing in the 2015 German National Skydiving Championship. Her team, Team Karma, is the world's first inclusive 4 way skydiving team. Now she competes this weekend in the Cybathlon, an adaptive competition where man and machine intersect to do the impossible. Of the 6 events, Claudia is competing in the Powered Arm Prosthesis Race. Claudia was born with dysmelia, a congenital defect, which led her to be born without her hand and most of her forearm. She managed to learn most tasks with her right hand to achieve daily tasks. Eventually, the overuse of her right hand led to pain and hours of physical therapy. After a visit to an Occupational Therapy Conference in Germany, she discovered Touch Bionics and their i-limb hand. After going through the insurance route, she was finally able to acquire one. Since the hand works on myoelectric principles, she had initial difficulty adapting to the i-limb. The i-limb is triggered through muscle contractions which Claudia never used over her lifetime. After practice and strengthening the muscles in her left arm, she was able to master the i-limb and do the unimaginable with it. Now, not only is she the Training Manager at Touch Bionics, but is also the pilot for Team Touch Bionics in the first ever Cybathlon. Claudia has been preparing for the competition with her teammates since May, preparing on grip positions as well as the the game plan for the Cybathlon. Unfortunately, during preparation, Claudia suffered a hole in her kitchen floor as the result of a falling cone. An unfortunate circumstance, but she learned from the event and improved her skills. Going into Saturday, she feels confident that she can compete and bring the prize home for the Touch Bionics family. During the Cybathlon, Claudia wants to show the world that anything is possible with today's technology. She wants to motivate people to thrive for more. At NTI, we try our best to do the same and provide candidates the tools to succeed through the training, mentoring and job placement. We wish Team Touch Bionics the best in the Cybathlon as we know Claudia will show the world what is possible! Watch Claudia and Team Touch Bionics compete in the Powered Arm Race on October 8th. The event will be streamed online at http://www.cybathlon.ethz.ch/en/. In a few days, the Cybathlon, an event where adaptive technology fuses with competition will occur. Teams from over 21 countries will be competing and we had the chance to catch up with the team representing Touch Bionics. Other than competitors, Touch Bionics is the world's leading prosthetic technology and support services organization in the world. Their focus is to create the best possible outcomes for those with upper limb deficiencies. Their products include myoelectric prosthetic hand and finger solutions, as well as highly realistic passive functional prosthesis that match the natural appearance of the user. During the Cybathlon, team Touch Bionics will put their products and support solutions to test in the Powered Arm Prosthesis Race and strive for the the Gold. The team will be represented by competitors from both the UK and German Touch Bionics locations. Team touch Bionics is comprised of Alison Goodwin, a Global Product Manager at Touch Bionics and Kathrin Gamble who is an International Marketing Manager at Touch Bionics. The two athletes, otherwise known as pilots in the Cybathlon are Claudia Breidbach who is a Training Manager at Touch Bionics and Bert Pot, a Touch Bionics Ambassador. 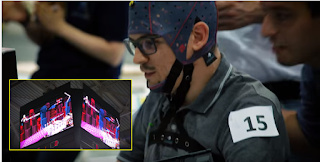 Touch Bionics is using the Cybathlon to push the limit on their latest technology, the supro wrist. Claudia will be leveraging the supro wrist in competition. This latest development is the first integrated hand and wrist prosthesis with synchronized rotation and grip selection. Touch Bionics has a launch date set for the supro wrist in early of 2017. It’s a personal endeavor for Claudia, as she is looking to showcase how to master life with a prosthesis and show what is possible with the technology today. Bert, an Ambassador for Touch Bionics shares a similar sentiment and is looking at the Cybathlon as a personal challenge to push himself to claim the prize for the Touch Bionics Family. Bert and Claudia have been preparing for the competition since May and have been preparing on grip positions and the game plan for the Cybathlon. Through determination, Touch Bionics will show the world that anything is possible with a symbiosis between person and technology. 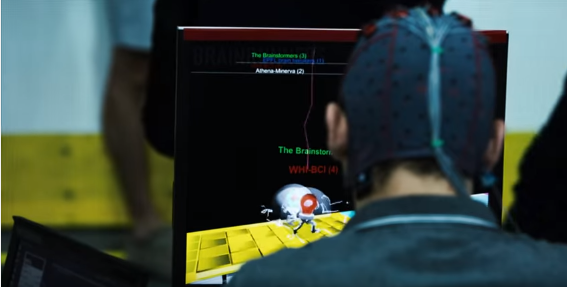 You can get the chance to see Claudia and Bert and team Touch Bionics pushed to the max as they compete in the Powered Arm Race on October 8th. 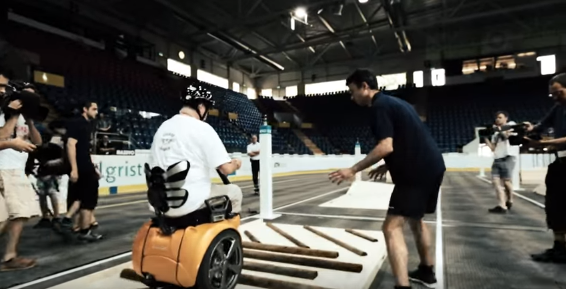 The event will be streamed online at http://www.cybathlon.ethz.ch/en/.